Corn flour is popular in the Southern and Southwestern US, Mexico, South America, and Punjab regions of India and Pakistan. Corn flour should not be confused with cornstarch, which is known as "cornflour" in British English. 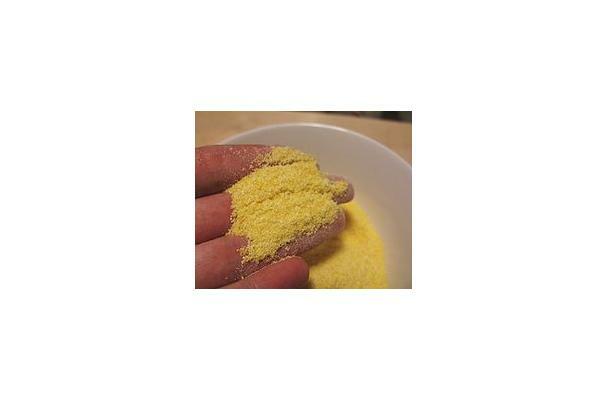 Corn flour is finely ground corn kernels. Corn flour is best descibed as a yellow powder. Food complements: Corn flour can be cooked to compliment almost any meal. Buying: Buying stone ground corn flour will yield better and fuller taste than steel ground. Procuring: You can ground your own corn into corn flour. Store in dry places. Use a seal-able bag or put in a storage container. Corn flour is a key ingredient in many South American and Southern American meals. History: Corn flour was used by early the early Aztecs and Mayans.